Our flight from Washington DC was uneventful, long and on time…..so we arrived in Mekelle about noon today after connecting through Addis Ababa. On the flight from Addis to Mekelle, we were joined by Joe Kinahan, exeutive director of Hamlin Fistula USA. 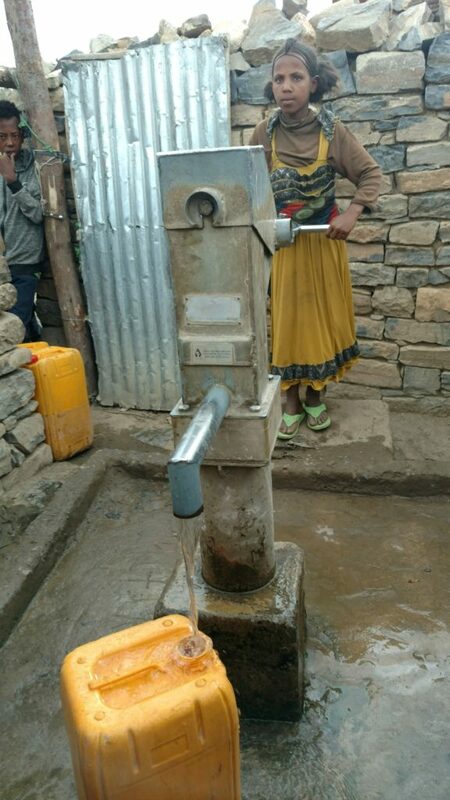 Just about three months ago, Water to Thrive entered into a year-long agreement with the Hamlin organization to develop a water security program for the Hamlin Fistula Hospital in Mekelle and for surrounding rural clinics that are supported by the hospital. Joe will join us today and tomorrow as we work out some of the details of our plans with implementing partner Relief Society of Tigray. After a short stop at the hotel to freshen up, we head out to the field to visit one of our projects completed in 2012. 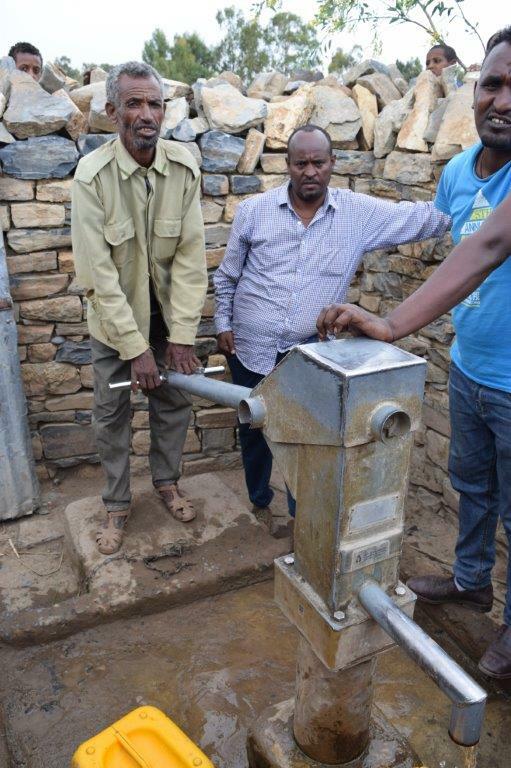 This was primarily to allow Joe to see one of our completed projects in use and to understand how the water committees function, as we plan to replicate this model for the support of the water security at the remote clinics. The site is Mai Equr,which serves about 350 beneficiaries in the surrounding community. Joe was able to meet with several of the water committee members (three women and three men). The treasurer showed us their maintenance fund bank account, which had almost $900 in it. The committee collects the equivalent of about thirty cents per household per month to support the maintenance fund. 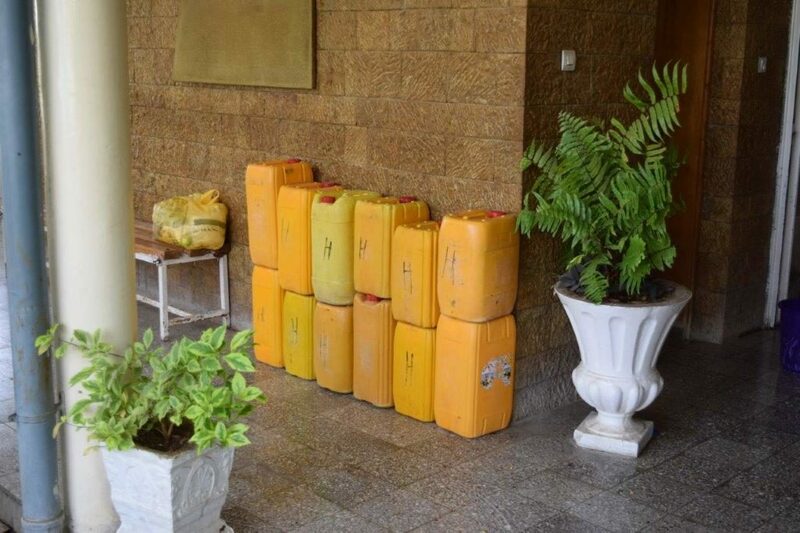 In the six years of operations, the well has worked continuously, except for one time for about two weeks when they had to arrange for a part from the local village.